We love creating unique invitations and announcements for clients. 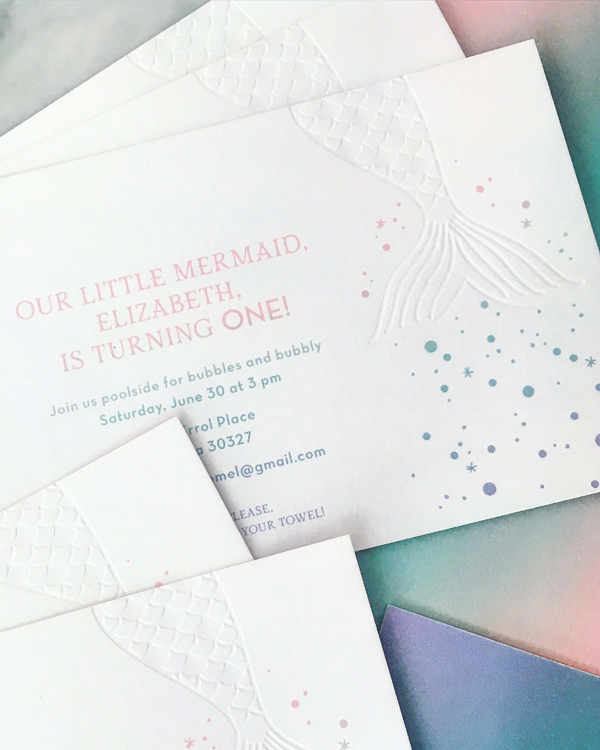 We recently designed and printed these amazing pastel ombré and blind impression mermaid birthday party invitations for a 1-year-old girl. 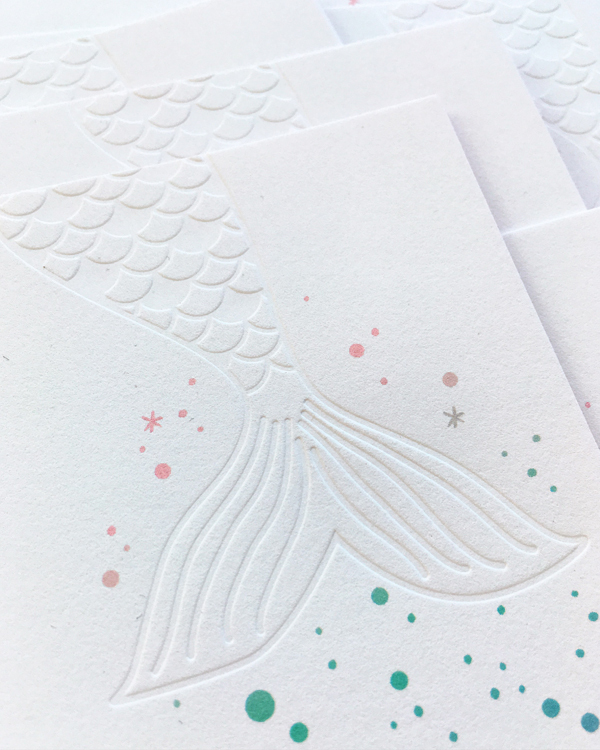 The ombré effect was flat printed on 100% cotton letterpress paper, then each card was printed with a mermaid tail impression, without the use of ink, for a modern under-the-sea theme invite. 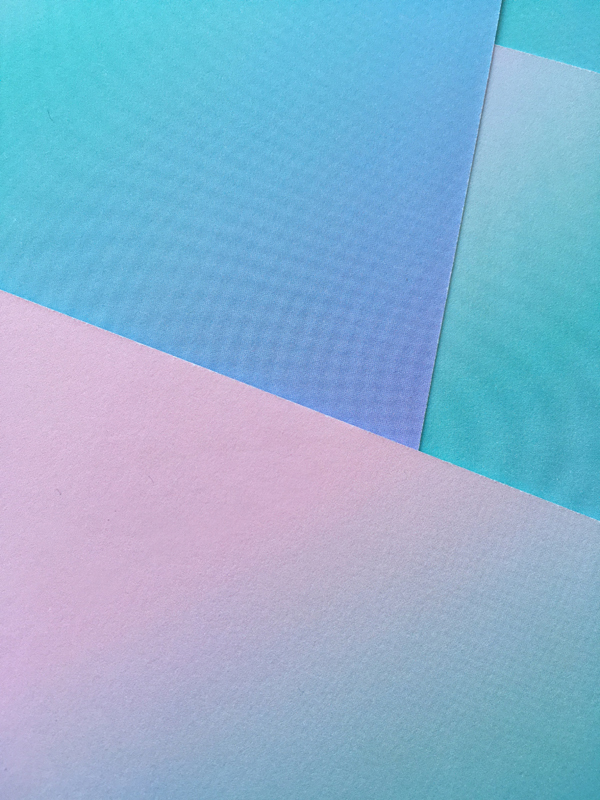 The ombré pastel color was even carried over to the back of the cards to complete the look. For more information, or to order a set of these for your party, just send us a note!